Humanity wrestle on the issues of love for many thousands years. What is the secret of a harmonious relationship? Is happiness lies in the warmth of the family hearth or in the freedom of flight? 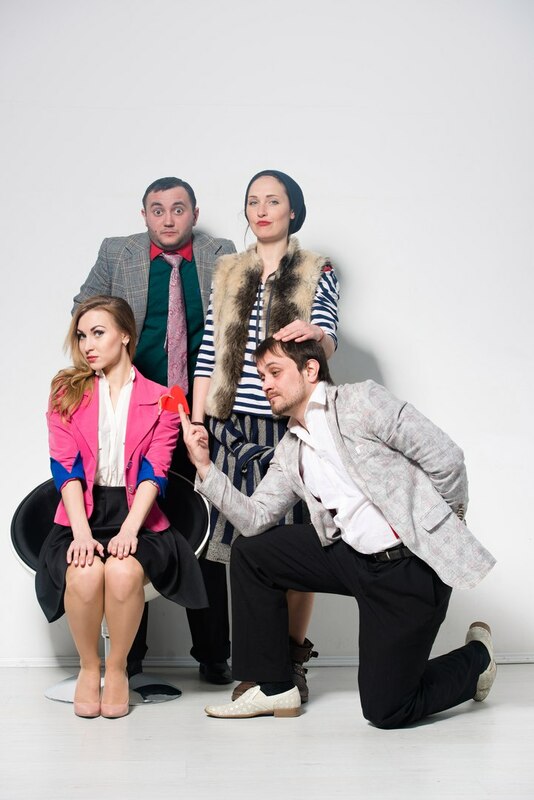 Director Gennady Shirochenko raises these issues and gives humorous answers in the play "Bachelor" on the works by Hanoch Levin. For that the whole world appreciates Israeli playwrights? It is for their inimitable ability to turn a normal household situation into a comedy. To treat all kinds of complexities of life with a healthy sense of humor means to overcome these sorts of problems easyly. There are a lot of such stories in works of classic Hanoch Levin, the play “Bachelor” is based on his brilliant prose. Gennady Shirochenko, the Director of experimental theater “Performance”, performing one of the roles in this eccentric comedy, relied primarily on an adult audience, so kids under 15 years old are unlikely will understand and appreciate the essence of the production. This is a typical “chamber” story that unfolds in an ordinary apartment building and so all the audience's attention will be focused on the interaction of actors and incredible situations in which they find themselves. The two main characters decide the most important question: who will be chosen in husband? There are only two candidates, but only one of them ensures long-awaited happiness in personal life. In the conditions of difficult choice is usually to happen the most incredible incidents!